Three buildings – a residential building, a student home and a school campus (currently a nursery school and primary school) – constitute the smart building research objects of ASCR. Equipped with photovoltaic panels, solar thermal panels, hybrid panels, heat pumps and various thermal as well as electrical storage facilities, smart materials, building technology and IT, the buildings of tomorrow act as flexible prosumers. They not only use energy, they also produce and store it. Complex ICT systems facilitate the optimum, automated management of energy distribution, consumption, storage and transmission. Furthermore, smart buildings can also participate in the electricity market. Around 40 percent of total final energy in Europe is consumed in buildings. 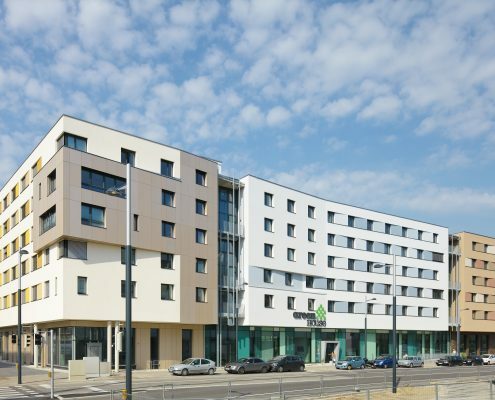 As such, a key focus of ASCR is on optimising a building‘s own consumption in the building. Future building optimisation systems offer a clear advantage – they can see into the future. They are designed in such a way as to calculate expected energy needs, taking into account user habits, energy-saving behaviour, energy production, weather forecasts and other data. They can also provide information about the condition of specific building units and for planning maintenance work. Aside from optimising own energy consumption, ASCR is primarily interested in the potential of buildings to make energy flexibility available externally. Consequently, one of the most important questions is how buildings can exploit their flexibility in the future to support local medium and low-voltage networks or, alternatively, participate as an active player in the electricity market? To master these challenges, several buildings (and, in the future, as many as several thousand buildings) must be observed together. This requires a building energy management system (BEMS), which calculates the electricity consumption of the building and any flexibility at regular intervals. This makes it possible to forecast when and how much of a surplus will be produced and thus be available to feed into the grid. An energy pool manager acts as an interface between the individual buildings and the electricity exchange. 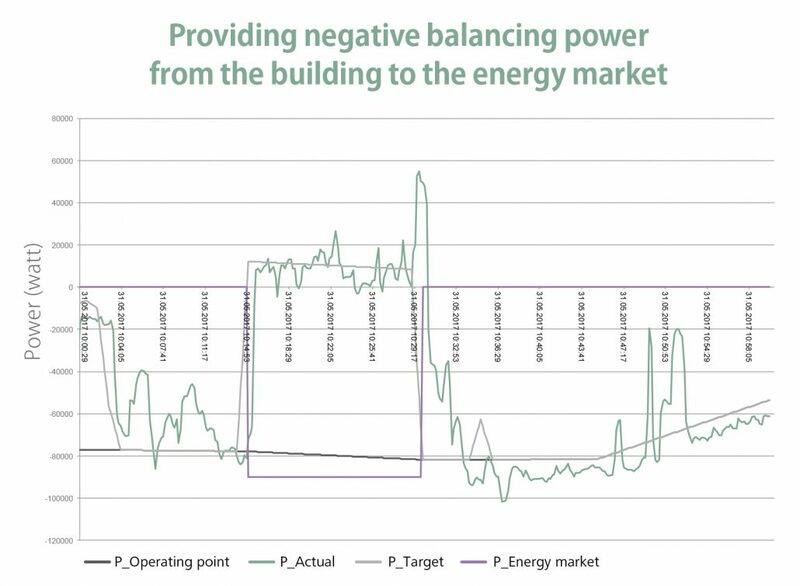 In order for buildings to participate in balancing energy markets, they require smart electricity networks, which not only need to know about the network status at any given time, they also have to be able to forecast it. New legal framework conditions are also needed for this. Interaction with residents in this building is of particular interest to ASCR. The school is self-sufficient in terms of its heating requirements thanks to the technical infrastructure of ASCR. 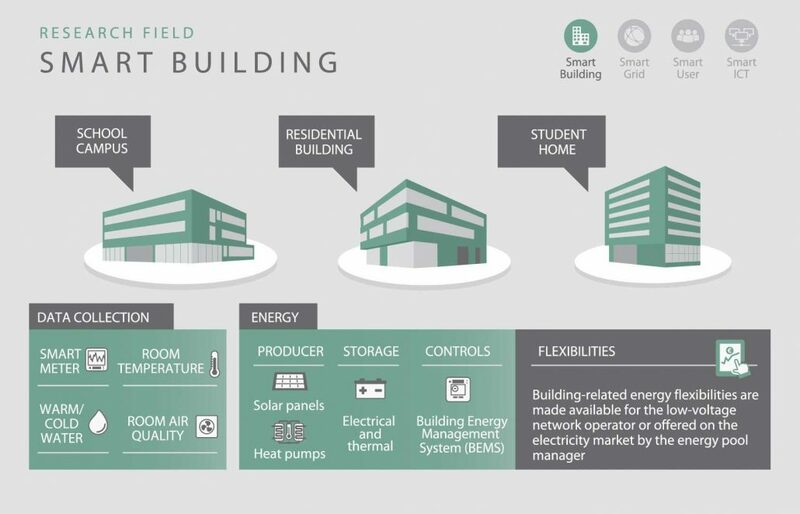 ASCR has implemented an intelligent building energy management system (BEMS) in the student home, which actively controls the supply of energy to the building and optimises energy consumption. Three buildings constitute the smart building research objects of ASCR. 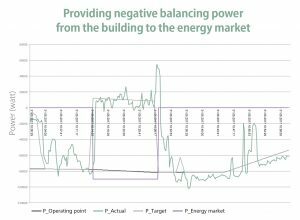 First evaluations of BEMS showed showed substantial savings of energy costs compared to a state-of-the-art control approach. The savings strongly rely on the dynamic of the electricity price and the quality of the forecasts. Additionally, releases of flexibilities for providing control power were tested. In the course of a test 30 kW positive and 90kW negative power was released. 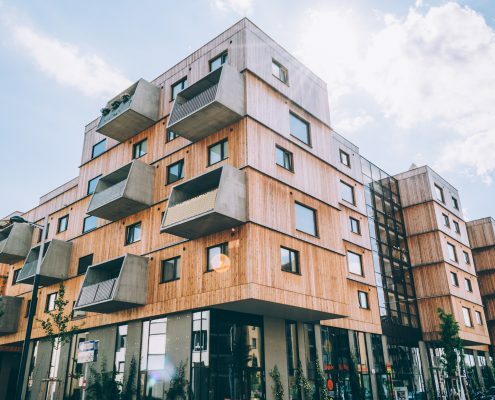 The smart residential building saves over 71 percent or nearly 240 tonnes of CO2 emissions every year compared to a gas-fired heating system. A 100 percent green electricity tariff further increases the potential savings. By overcharging the thermal buffer storage during the day with solar power, night-time heating requirements in the residential building can be met, particularly during transition times. This means that the heat pumps have shorter operating times, thereby saving energy and cutting costs. Heat recovery at the school campus saves 195 MWh/year, which corresponds to financial savings of around EUR 10,000 every year. 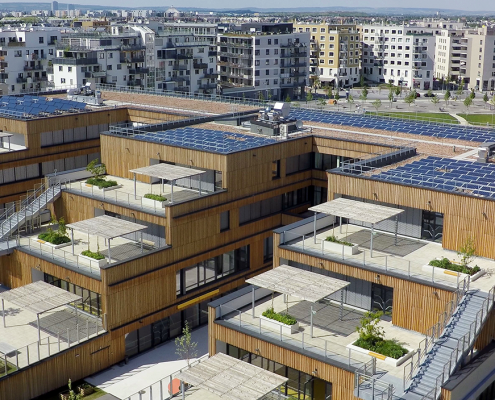 A reduction in peak grid demand was achieved at the student home by using battery storage units, meaning a saving of up to EUR 5,000 every year. The air heat pump in the car park exhaust air system in the residential building successfully uses the car park’s exhaust air as an additional heat source. In terms of energy optimisation, the BEMS integrated into the student home is operating successfully. Moreover, the building already communicates with the electrical grid, through which valuable information, such as forecast power consumption, is exchanged. Sample calculations have shown that it is possible to achieve significant cost savings. Flexibilities have been successfully used as tertiary operating reserve.